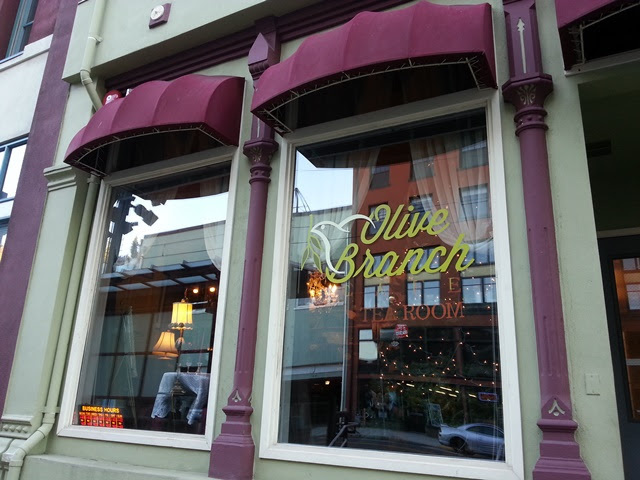 Olive Branch Cafe has moved to their new location at Freighthouse Square! The Olive Branch Cafe is located along Tacoma's historic Antique Row on Commerce Street near South 9th Street and directly in front of the Theater District stop on Tacoma's (free!) Link Light Rail. 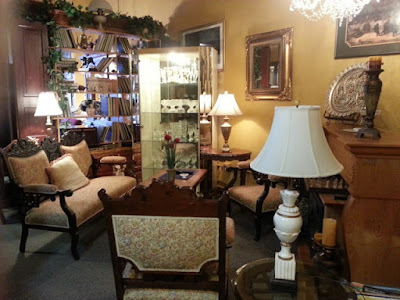 Just inside the entrance, you'll find a lovely seating area where you can wait for your party to arrive or view the selection of vintage and antique items available for sale. 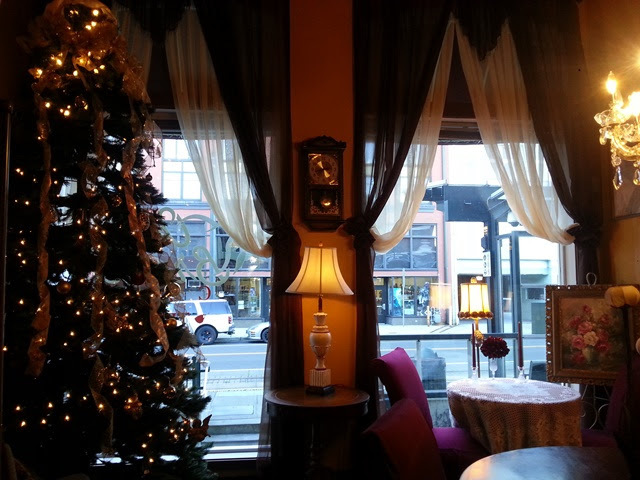 Seating is generous with tables available for couples or single guests like myself, as well as large groups. Surrounded but by no means crowded, by beautiful Victorian antiques, each seat has a pleasantly cozy feel. 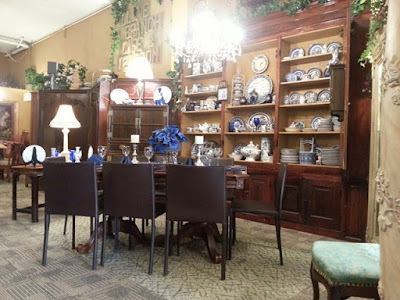 Guests who will be having tea will be guided to a beautiful antique tea cabinet where they can view and make a selection from the loose leaf teas displayed inside. 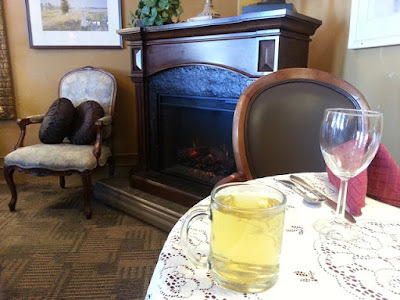 I was seated by the fireplace and that, coupled with a hot cup of Dragonwell green tea, was just what I needed to warm up while looking over the menu. 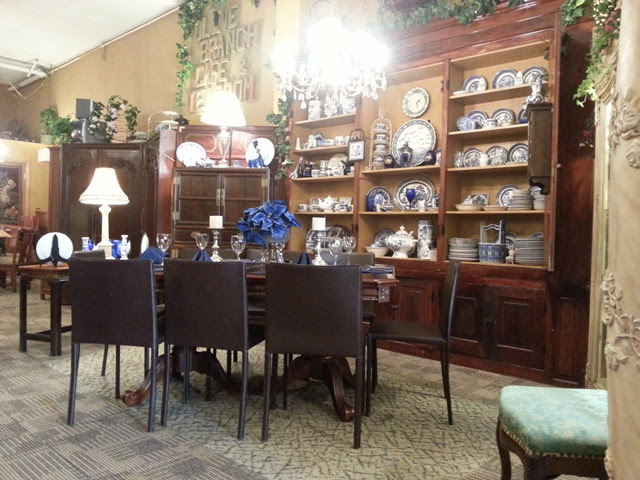 Fine tea cups are presented with formal tea service, while a more casual, yet generous cup is offered for lunch service. Though I did not have a reservation, I was fortunate to be able to enjoy a full Afternoon Tea set with sandwiches, scones, fruits, and seasonal sweets. Strawberry lemonade was served along with my High Mountain Green Tea selection, providing a nice contrast to the savory food items. 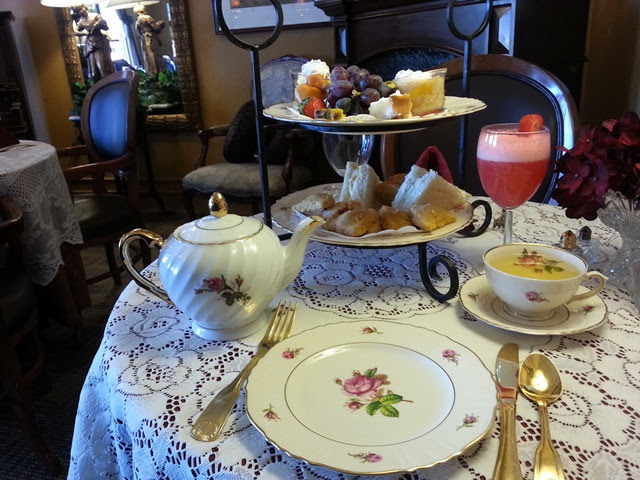 Be sure to call 24 hours in advance for Afternoon Tea to ensure everything is prepared just right for your visit. With a little notice, Olive Branch will gladly host large parties. Thanks to the owner, Terry, and everyone at the Olive Branch for making this a great experience! I look forward to future visits! Thank you! I have updated to the correct opening time of 11am. I really appreciate the information!